Horizon zero dawn: here comes the sun? BENGALURU: We see Aloy, armed with a strong bow and arrows, as she traverses rough terrains, clearly searching for something. In a world where humans are still primitive, what could mechanical beasts and robotic dinosaurs be doing? 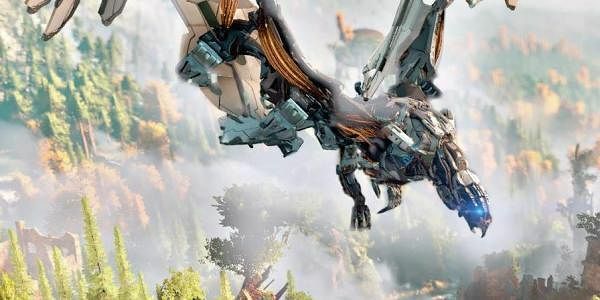 Developed by Guerilla Games (who also made Killzone), ‘Horizon Zero Dawn’ gives a lot of importance to the story and the narrative, in addition to the competitive combat and open-world graphics that are integral to the gaming experience of RPGs. Releasing this month, it is amongst the most-awaited for the PS4 this year. Its compelling gameplay has triggered tremendous anticipation in gaming circles. What makes Horizon Zero Dawn worth the excitement? For starters, it is an open-world RPG game — which means the developers drew kilometres of viewable range, in addition to making a dynamic gameplay where you can pick up objects on your path. An RPG also warrants dialogue choices — which here, adds to the character of the charismatic Aloy. Quipping the Narrative Director of HZD, all the writers had one goal while creating Aloy — to create someone as iconic as, or almost “90% Drake”. And with the overwhelming cosplay responses, it seems that Aloy is on her way to a quick success. The in-game music thrums with the primeval sounds of distant drums, punctuated by metallic beasts clanging with the raining arrows. This is the most fascinating of combinations, made relevant through the emotion-packed storyline that begins with the downfall of humanity. With a colour scheme and environment that rivals Skyrim, the entry of these robotic beasts that clearly don’t belong is the perfect recipe for strategic combat. The weapons include fire arrows, ropecasters and bombs that can be used in different combinations to achieve desired results — immobilise the enemy, target for a critical hit (preferably through eyeball) and loot its functional spare parts. The melee is crunchy and satisfying. The visual effects are well-developed - from the facial expressions of the characters, strategically usable viewpoints, to futuristic lenses that target enemy vulnerabilities. A well-rounded game, all set for a new ‘dawn’ in videogames this year, you think?